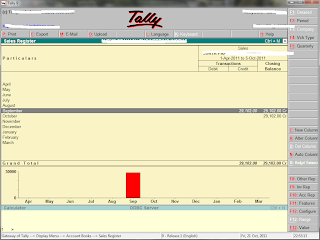 Home Tally How to Print Sale Voucher / Invoice in Tally ? 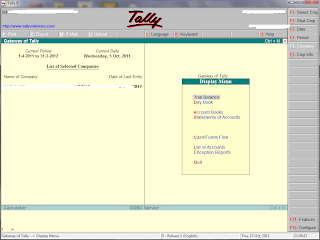 How to Print Sale Voucher / Invoice in Tally ? 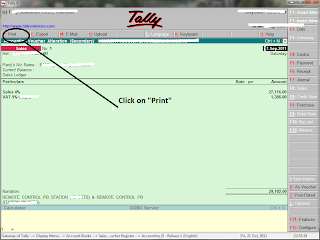 Invoice printing is one of the best option in Tally. 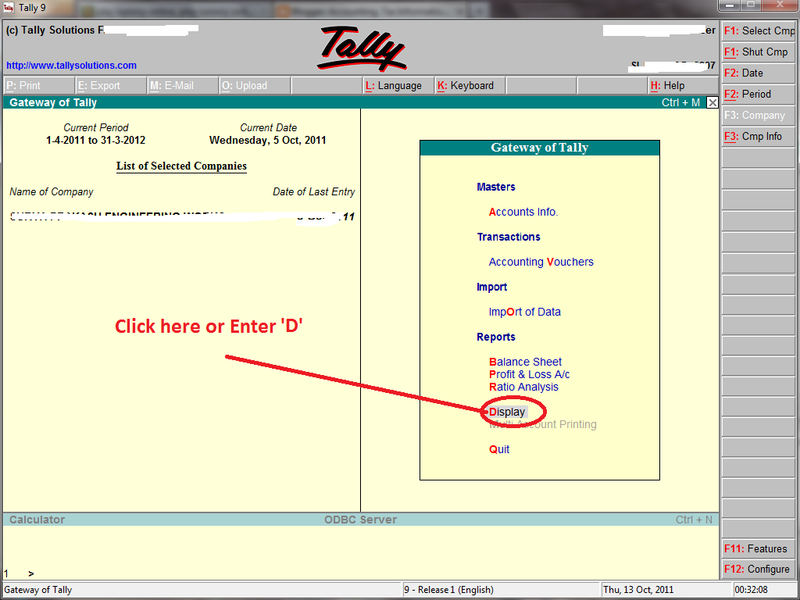 i am here explain how to print invoice in Tally. 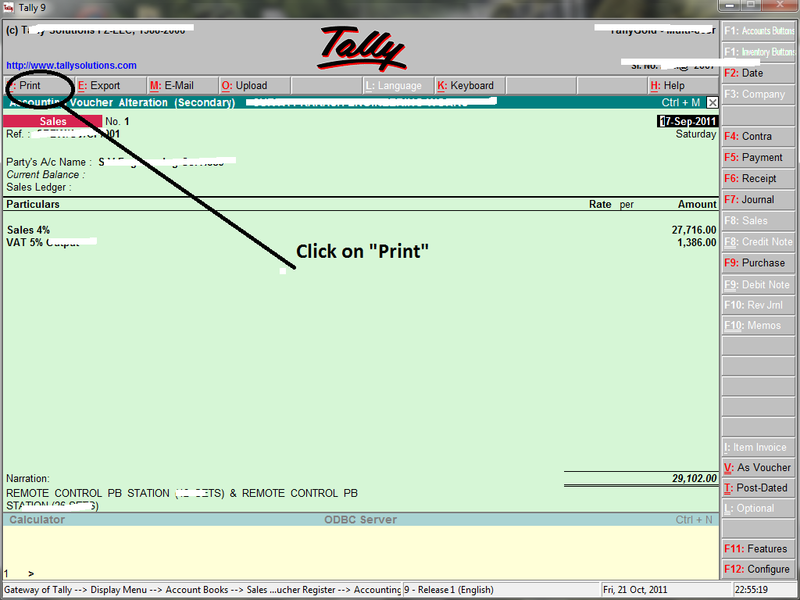 Follow the following simple steps to print Invoice. 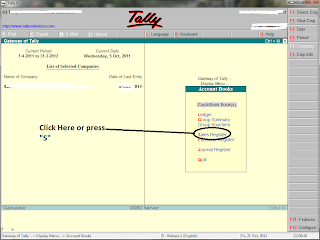 > select the voucher , which invoice you need to print.& Press Enter. 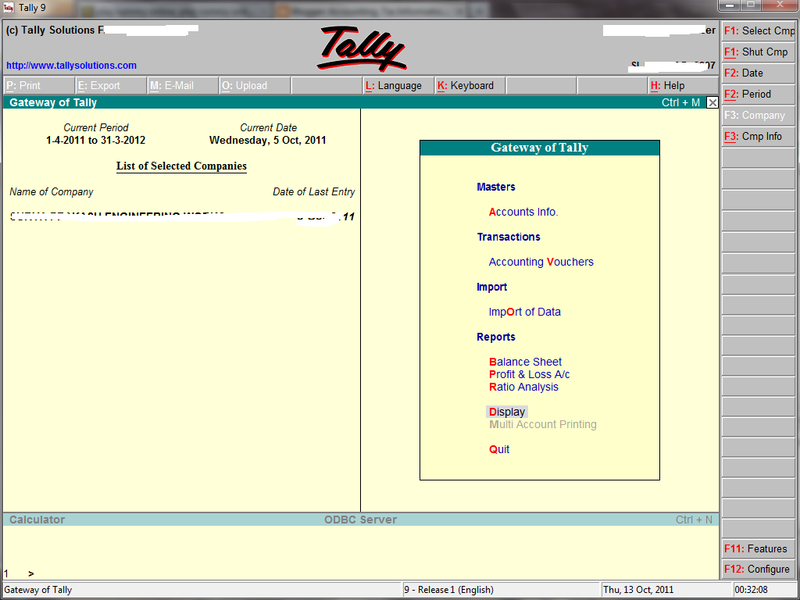 Now you can see the voucher. 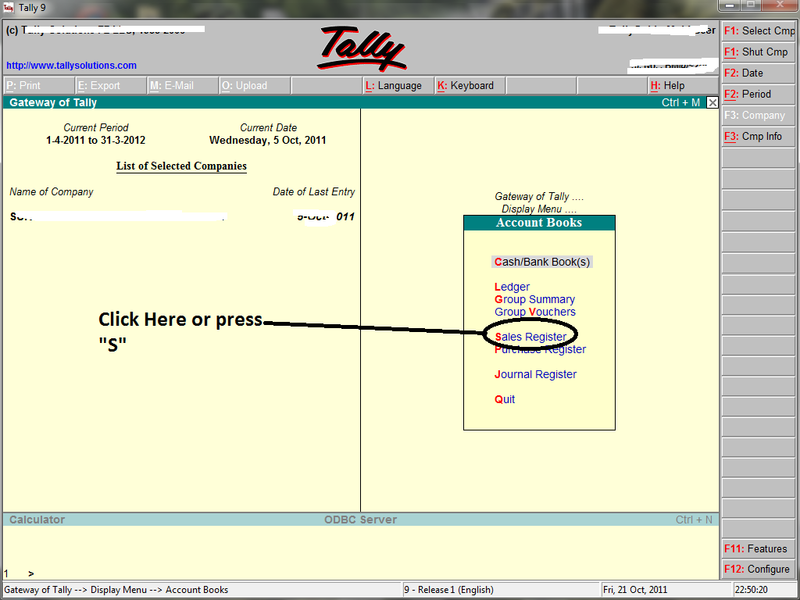 > Click on "Print" on top panel. 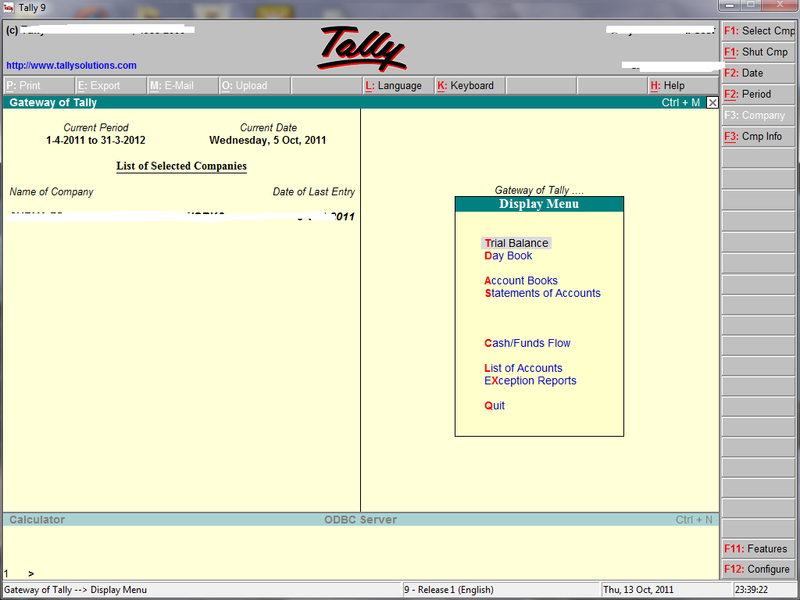 Now you can see the following Window. 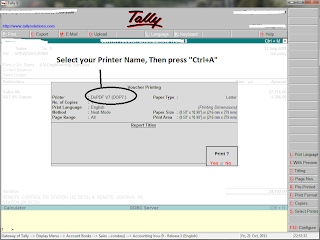 > In this window, Select your Printer Name & Press "Ctrl+A". Now you can get print invoice.